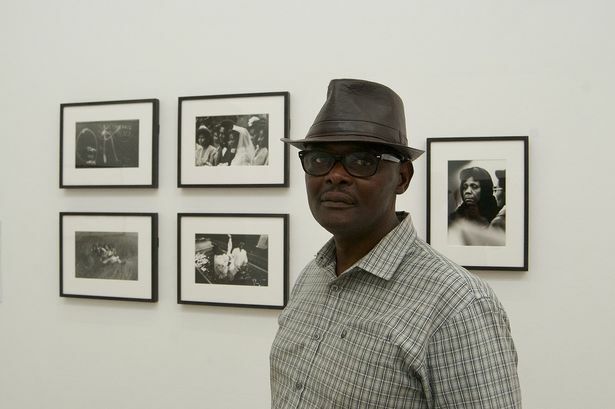 Some of the Midlands&apos; most influential photographers, who gave their finest work to the Library of Birmingham, have launched a campaign to halt cuts which will see opening times slashed. The group has started a petition calling on Birmingham City Council to reverse its decision, claiming it will damage the city&apos;s global reputation. The photographers, including Paul Hill, John Blakemore and John Myers, have all given their archives or collections to the library to catalogue and make available for exhibition. They fear that is at risk after the council announced plans to slash the library budget by £1.5 million, cutting opening hours from 73 to 40 hours a week and making 100 of the 188 staff redundant. Among those earmarked for redundancy are expert staff who curate the photographic collections. Peak District-based Paul Hill, who was a photographer for the Birmingham Post and Mail in the late 1960s before going on to become one of the UK&apos;s most influential photographers and teachers, launched the petition on the change.org website. A Fellow of the Royal Photographic Society, the Ludlow-born snapper donated his archive to the library in 1990, where it is now stored alongside prized collections and archives by renowned photographers like Daniel Meadows, Martin Parr, John Blakemore, Brian Griffin, Vanley Burke, John Myers, Nick Hedges, and Val Williams. All have strong links to the Midlands. He said: "The Library of Birmingham has a designated national photography collection. This means that they are recognised as having national and international significance. "A condition of giving collections is to make the work accessible to the public. It is often also a condition of funders like the Art Fund. "But what is being proposed is the complete disbandment of the photographic team - the experts involved in conservation, cataloguing and putting on the exhibitions. This is a tragedy for the dedicated expert staff. "All we will have is collections which are only available to researchers by appointment and that is not what we wanted." He said he was also saddened by the wider cuts to the library so soon after the elation of its opening in 2013. "We have a brand new iconic building which is the envy of the world," he said. "I have friends who say they wished they had such a fine library. It has given the city a great, positive reputation for culture outside the city. "If the collections go elsewhere it will be a blow to Birmingham&apos;s cultural reputation." Almost 200 people have already signed the petition, with many commenting on the collection&apos;s importance not only to Birmingham but to the nation. Petitioner Annie Laughrin commented: "Losing public access to such a significant collection is scandalous. "The council is clearly blind to the cultural value of this asset and the wealth of knowledge and expertise that will be lost if the archivists, collection managers and conservation teams, who have invested lifetimes of work to care for and build this collection, are lost." The photographers&apos; campaign follows a plea two weeks ago from the West Midlands Writers Guild to halt the threatened cuts, claiming the cuts are an embarrassment to Birmingham. A petition condemning the cuts from the Friends of the Libraries of Birmingham, also on change.org, has already been signed by 1,100 people. And the Friends of Birmingham Archives and Heritage have organised a public meeting over the budget cuts at the Library Studio Theatre on Wednesday, January 7 from 5pm. The council currently spends £12 million a year on loan repayments covering the £188 million cost of the construction. It also costs £10 million a year to run but the Labour council says from April it can no longer afford to keep it open at the present level. As well as the loss of 100 staff, outreach projects, public exhibitions, book purchase, access to archives and research will all be affected. The Labour leadership argued that it also needed to defend funding for community libraries throughout the city. Cabinet member for culture Coun Penny Holbrook said earlier decisions had saddled the council with a huge amount of debt. She said: "The cuts to the Library of Birmingham are devastating – not least for the staff and the people who are closest to the library. But we are not closing the library. "We are going to deliver a good library service. The problem we have is that we cannot continue to fund services that are as expensive as the Library of Birmingham was designed to be. We cannot have parts of the council that are untouchable."